New York’s eastern providence of the Hamptons has adopted a very particular style in architecture and interior design which, which has earned world wide recognition. This chic look, that embraces white tones and pale colors, clean furniture, and nautical inspired elements sees a mix of both rural and cosmopolitan influences. 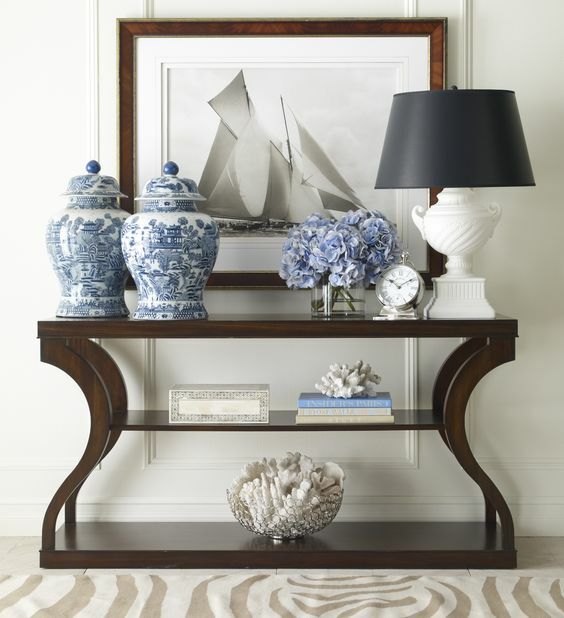 As a topic oriented towards the summer season, it is time we covered the Hamptons look, and made a selection of console tables and accessories that fit the look. There are a few key decoration elements which are common to the Hamptons look, and that must be combined to really complete the look. Overall, however, one could describe furniture pieces as neutral, with a classic touch. Wood is used heavily, yet not exclusively. White tones and pale colors, however, tend to predominate the Hamptons look, from furniture, to accessories, wallpapers, and so on. 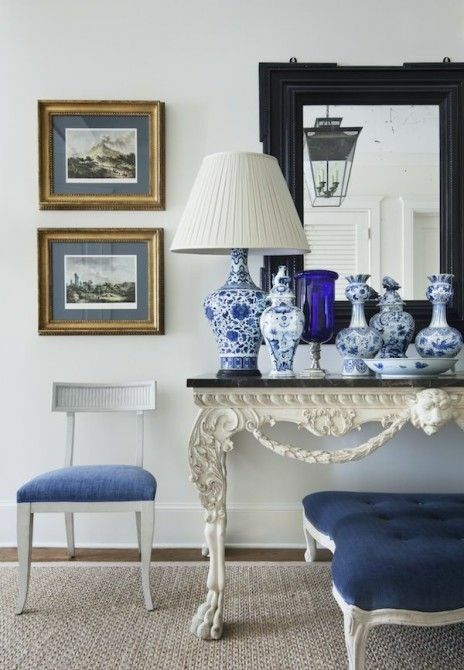 The Hamptons look wouldn’t be complete, however, without a touch of blue. This is due to the style’s coastal influence. Anything from traditional china, to other blue ornaments – flowers, lamp shades, and so on. 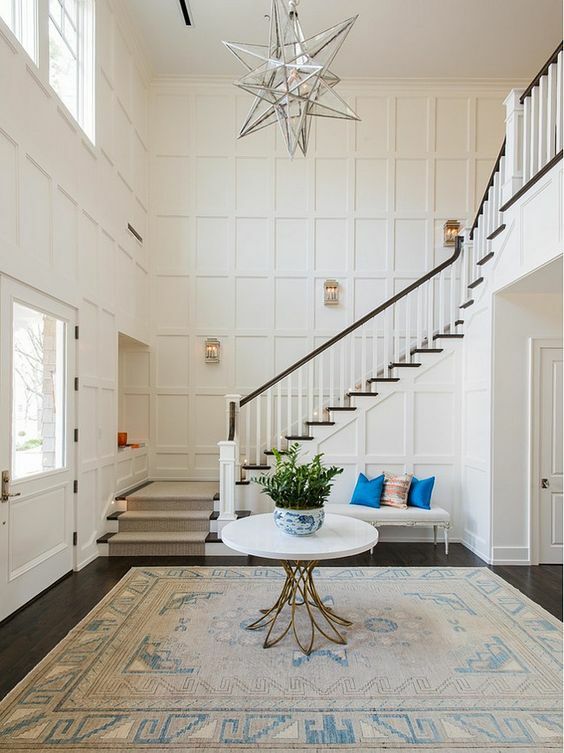 A striped or contrast effect between white paint and dark woods or blues is also common practice in Hamptons style decor. Above, one sees this in the front-door and white wall combination and on the staircase. 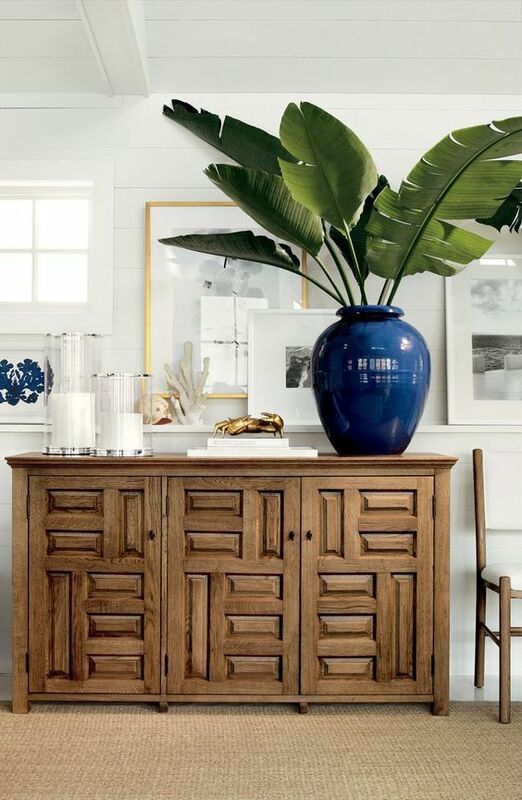 Classic furniture does, however, really suit the Hamptons look. Detailed woodwork, fine upholstery and timeless accessories will only make the décor ensemble richer. Greenery, and other natural accessories are also associated to the style. This is anything from flowers, shrubs, trims, or sea-shells and fossilized corals. Extensive use of artwork compliments aforementioned accessories, and decorating tips. This includes landscape photography, nautical illustrations, or nature oriented prints. 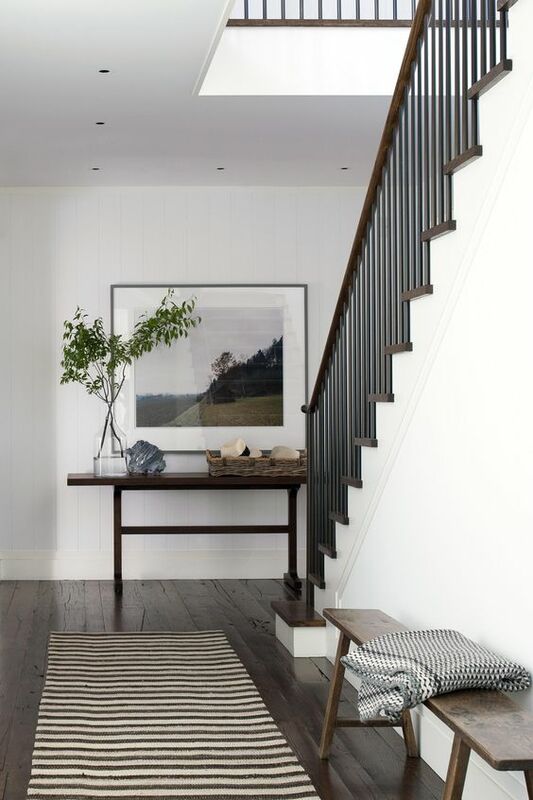 Overall, the Hamptons look can be achieved by following some of the tips above, yet experimenting always shows a touch of originality, and allows for a stronger personal connection with the space, which will most likely make it more inviting.